When choosing a custom parts fabricator, an important factor to consider is the materials and raw material suppliers they regularly work with. 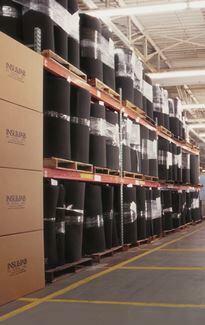 Insul-fab carries a large inventory of high quality materials from industry leading suppliers. Our diverse material selection provides options for OEM’s based on their needs for performance and economy in any application. Our long relationships with respected brands ensure availability without supply disruption. Large and diverse inventory of raw materials, ready for fabrication. Years of experience with well-known brands that OEM’s want. One of the benefits of working with Insul-Fab is the variety of materials available from one source, ready for combination and fabrication. We have available the extensive, high-quality material offering from many of the industries best-known suppliers.